Savor the culinary delights of Split during this 6-hour wine and olive-oil tasting trip with a small group. 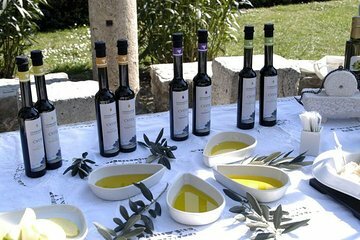 Join no more than 15 guests as you visit the ancient city of Salona to learn about olive oil production and sample a few gourmet oils. Then head to Kaštela, where you’ll visit the farm of a local wine producer for an included culinary workshop, meal, and wine tasting. Receive a pickup from your accommodations in Split, leaving at a time that’s been prearranged with your tour operator. You’ll transfer from there to the city of Salona for your olive oil experience. Learn about the olive oil production process and taste various grades of oil, learning about the differences in their texture, flavor, and quality. Your guide will also share details about Croatian history during your time in this ancient city. Continue to the coastal town of Kaštela, taking time to admire the city’s beautiful atmosphere before proceeding to the estate of a premium producer of small-scale wines. Add to your culinary repertoire during a food workshop, which you’ll then enjoy for lunch or dinner accompanied by a tasting of the estate’s Croatian-made wines. After enjoying a tasty meal and a fun time with some local Croatians at the estate, receive a drop-off back at your accommodations in Split.